OSC NZ will be at the 2016 A Community on Ecosystem Services (ACES) conference, which is being held in Jacksonville, Florida, USA from 5-9 December. The ACES conference focuses on bringing together decision-making and the science around ecosystem services and sustainability. Dr Victoria Todd, one of our Managing Directors, will participate in the Thursday afternoon discussion session entitled ‘Do offshore oil and gas platforms and infrastructure provide valuable ecosystem services?’. This session will explore the ecological value of offshore oil & gas (O&G) subsea structures and applying Net Environmental Benefit Analyses (NEBA) to assess decommissioning options of those structures. NEBAs make use of the latest scientific data and case studies, such as the recent research which indicates that the reefs associated with O&G subsea infrastructure can support a variety of marine mammal populations. 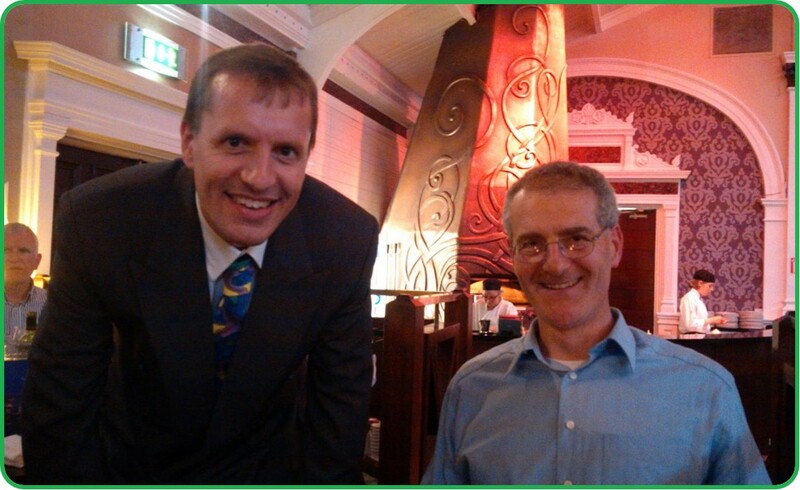 Two of OSC NZ’s directors, Dr Victoria Todd and Ian Todd, recently attended the fourth international The Effects of Noise on Aquatic Life conference (AN2016), held in Dublin, Ireland, 10–15 July 2016. The conference covered a broad range of topics related to the central theme of impacts from man-made noise, including research on marine mammal activities, the use of different technologies to study marine mammal activities, noise levels in the ocean and around certain activities (e.g. shipping, pile-driving, wire-cutting) and impacts of noise on fish (including some fascinating research from NZ on the effects of boat noise on temperate reef fish). The conference combined regulatory, industry and academic perspectives, leading to interesting exchanges of ideas and discussions. Whilst OSC NZ is, of course, interested in the direct impacts of noise on marine mammals, the responses of their prey (e.g. fish) to noise are likely to also impact marine mammals, so many of the talks had implications that link to our research interests. Wide-ranging conferences such as AN2016 provide valuable new perspectives on noise-related issues, and allow scientists (from academia and industry) to keep up-to-date with research in associated fields. The Marine Mammal Observer & Passive Acoustic Monitoring Handbook, written by Dr Victoria Todd, Ian Todd, Jane (Gardiner) Warley and Erica (Morrin) Chapman and drawing on their extensive collective experience working for OSC, has been hailed as a ‘bible’ for the industry in a review published in Marine Mammal Science. 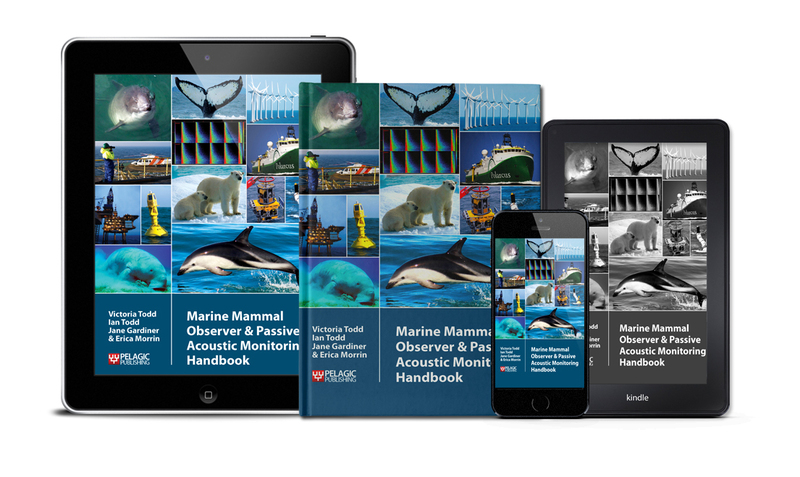 The Marine Mammal Observer & Passive Acoustic Monitoring Handbook remains the only book of its kind and is both an invaluable resource for those interested in joining the industry and a comprehensive reference for experienced readers. The book provides an overview of marine mammal species and noise, mitigation legislation around the world, training requirements and life offshore. 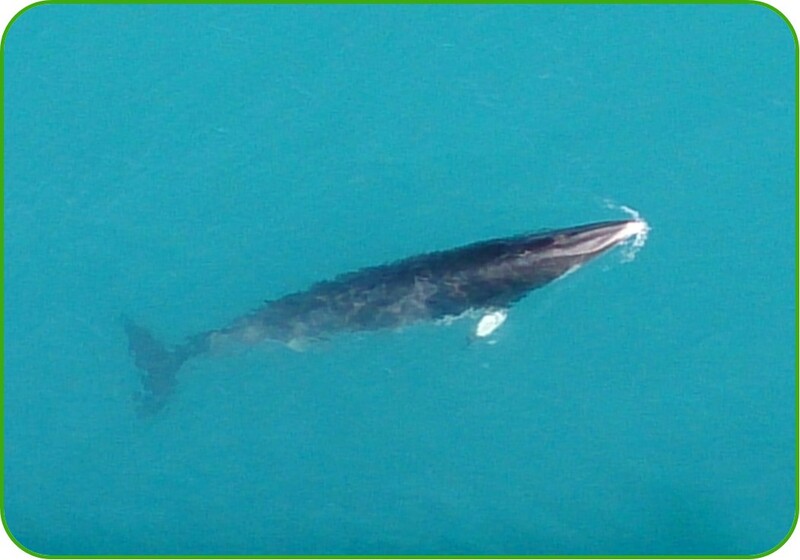 Good practice for Marine Mammal Observers (MMOs) is discussed also, and a wealth of information about Passive Acoustic Monitoring (PAM) and using PAMGuard (the industry-standard software used for PAM) is provided. Available in hardback, paperback and eBook (very practical when considering offshore luggage allowances) from Pelagic Publishing, NHBS and Amazon. Ian Todd and Erica Chapman, both directors of OSC NZ, presented at the recent PEPANZ 2016 conference in Auckland, NZ. Their talk was entitled “Enhancing oil & gas exploration activities with Māori culture and creating career pathways – iwi Marine Mammal Observer (MMO) and Passive Acoustic Monitoring (PAM) training course”. Watch their presentation here (Ian & Erica’s presentation slot starts at 21:30), where they discuss their experiences running the course (their first full marae experience!) and some of the feedback from the 16 iwi candidates, as well as how both OSC NZ and some of the candidates think that the knowledge and skills learnt on this course can benefit both their iwi and the oil & gas industry in NZ. Victoria Todd, one of our Managing Directors, presented about OSC’s North Sea rigs-to-reef research at the recent PEPANZ 2016 conference, held in Auckland, NZ. She discusses why our findings are important for offshore installations coming to the end of their lifespans as well as why replicating this research in NZ could be important for the Critically-Endangered Maui’s dolphin. 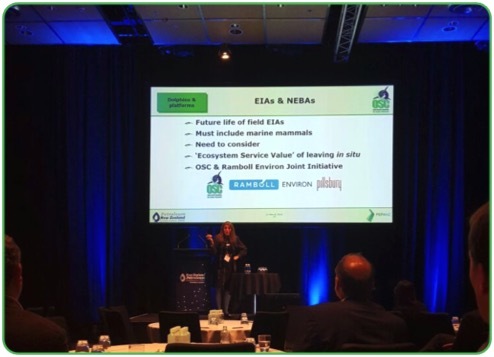 Last week OSC-NZ Directors Ian and Victoria Todd and Erica Chapman attended the New Zealand Petroleum Conference, held in Auckland between 20-22nd March. More information about the conference is available here, www.petroleumconference.nz. 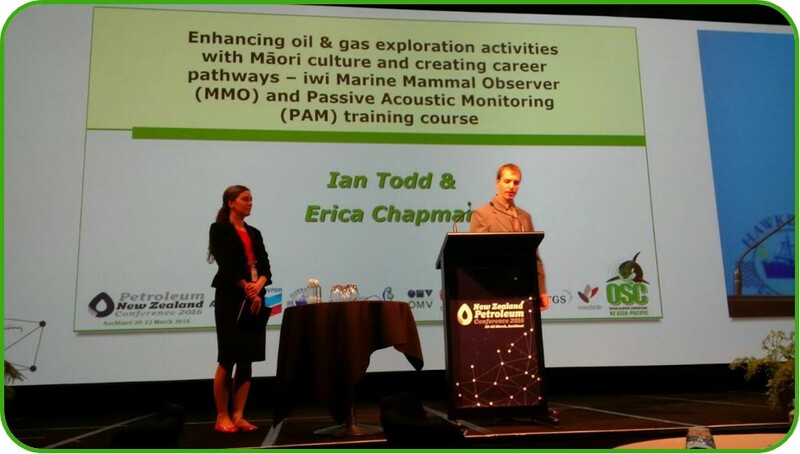 All three presented at the conference, with a photograph below of Ian and Erica presenting their talk entitled ‘’Enhancing oil & gas exploration activities with Māori culture and creating career pathways – iwi Marine Mammal Observer (MMO) and Passive Acoustic Monitoring (PAM) training course’. OSC-NZ is pleased to announce that Melanie Orr has been appointed as a Director of OSC-NZ, the Asia-Pacific branch of Ocean Science Consulting (OSC; www.osc.co.uk). She joins Ian Todd, Victoria Todd and Erica (Morrin) Chapman on the board. 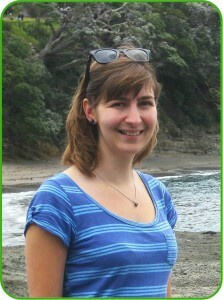 Along with completing day-to-day business activities, Melanie is the main New Zealand-based contact for OSC-NZ. We are happy to announce that Erica (Morrin) Chapman and Jane (Gardiner) Warley have recently become shareholders of OSC-NZ. 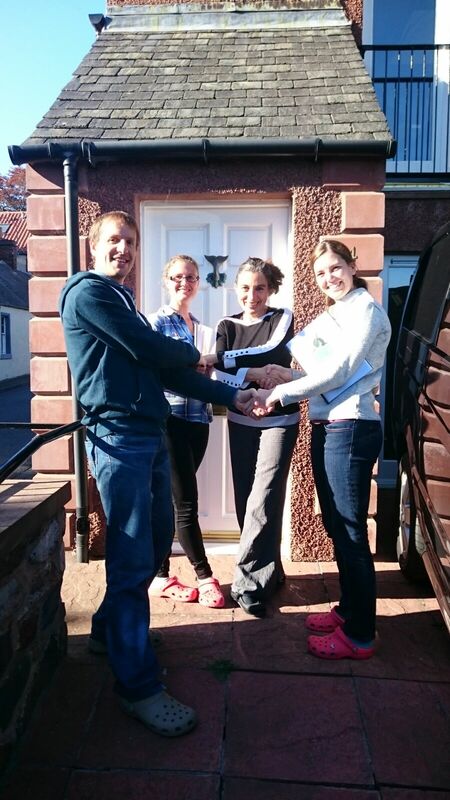 Both Erica and Jane got married this year, Erica in June to Peter and Jane to Dave in October, and both the received the shares as a wedding present. Ian Todd, Victoria Todd, Erica (Morrin) Chapman & Jane (Gardiner) Warley shake hands to celebrate Erica and Jane becoming shareholders of OSC-NZ. OSC-NZ Directors Ian (www.iantodd.co.nz) and Victoria Todd (www.victoriatodd.co.nz) and Erica Morrin are in Auckland currently to attend the Advantage New Zealand Petroleum Summit, which takes place in Auckland from the 29th–31st March. More information on the conference is available on the website www.petroleumsummit.co.nz. 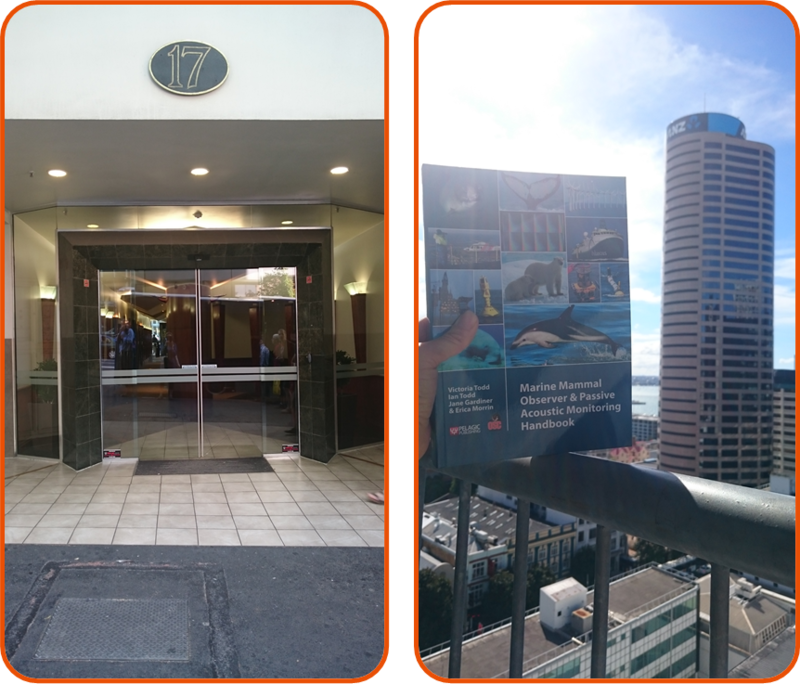 Whilst in New Zealand the team are visiting our OSC-NZ office, and promoting our new book, the Marine Mammal Observer and Passive Acoustic Monitoring Handbook, which is available to purchase now.